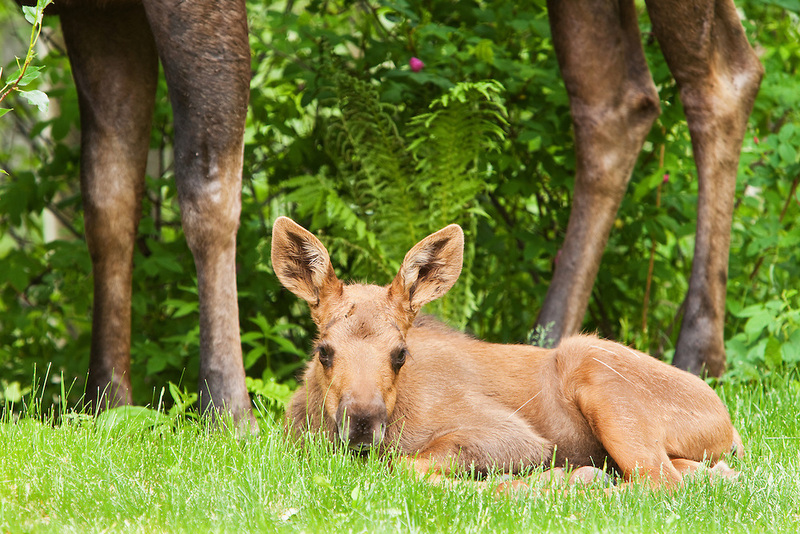 Less than a month old, a newborn moose calf sleeps below the long legs of her mother in the relative safety of a residential backyard in Eagle River in Southcentral Alaska. Spring. Afternoon.